March 28, 2011  Glaxo CEO Andrew Witty says it is clear trust in the pharmaceutical industry has eroded over the past 20 years. He outlined a path to redemption during a recent chat with Shots. March 23, 2011  The ruling could have broad ramifications for the disclosure practices of drugmakers and other corporations. March 17, 2011  Novo Nordisk hired Denver artist Mark Cline to paint a mural in Washington's Union Station that depicts the toll diabetes is likely to take in the United States by 2025. 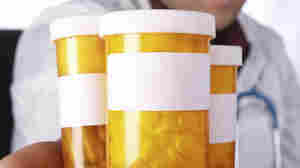 March 15, 2011  Some states allow pharmacists to take charge of medication-related care for patients as long as any changes made by pharmacists are communicated to the patients' doctors. March 11, 2011  The company's McNeil unit, marketer of such over-the-counter mainstays as Tylenol and Sudafed, has agreed to a consent decree with the federal government that will keep three factories firmly under the government's thumb for years. Could Diamonds Become An Oncologist's Best Friend? 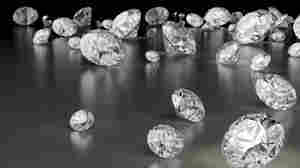 March 10, 2011  Early research in mice finds that tiny diamonds may help reduce side effects and improve the effectiveness of cancer drugs. The next step is trying the combination in rabbits. March 4, 2011  U.S. medical research institutions and pharmaceutical companies are performing more and more human studies overseas. research to developing countries. The trend raises some sticky ethical questions, which are getting more attention. March 3, 2011  Drugs ranging from Accuhist to Zotex syrup were never put through the paces of an agency review. So now the regulators say the unapproved drugs cannot be sold anymore. March 2, 2011  Women who use oxycodone, codeine and hydrocodone painkillers early in pregnancy may increase the risk of having a baby with birth defects, including heart defects and spina bifida, according to a new study. March 2, 2011  The agency crunched data from 26 randomized controlled trials, the gold standard in clinical tests, and decided they do not show an increased risk of heart attacks.